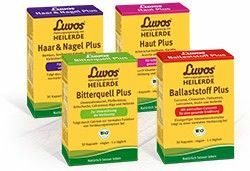 "Healing Earth is nature´s best natural remedy"
Luvos Healing Earth is a natural remedy for heartburn, acid-related stomach disorders, irritable colon and stomach. It also binds cholesterol and helps to heal acne and blemished skin. In ancient times, the special medicinal effect of this “Healing Earth” was already well known. 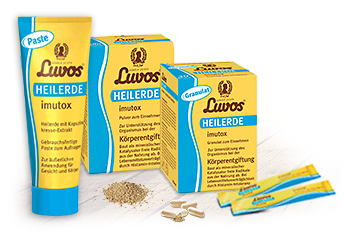 But it was Adolf Just, founder of the Heilerde-Gesellschaft Luvos (“Healing Earth society”), who re-discovered medicinal Healing Earth for use in modern naturopathy. 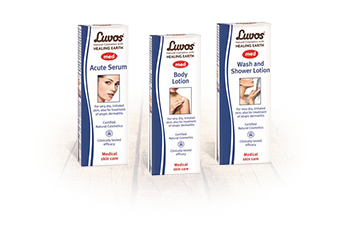 For 100 years now, the family-run company has been producing Luvos Healing Earth as a purely natural product without any additives. 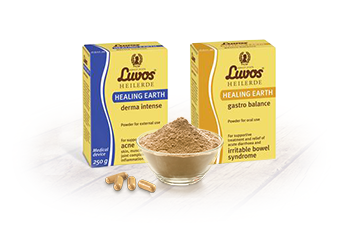 Luvos Healing Earth consists exclusively of loess dating from the Ice Age, which possesses a special, ideal combination of minerals and trace elements. Healing Earth is naturally effective for detoxification from inside and outside. It can absorb toxins from food and on the skin as well as break down free radicals. Awarded the organic seal, Luvos Organic Food Supplement naturally provides well-being and beauty from within. 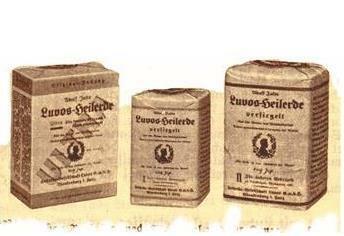 The pioneer of natural healing Adolf Just founded the Heilerde-Gesellschaft Luvos in January 15, 1918. In his view, Healing Earth was the best remedy of nature. 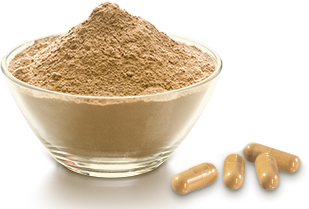 For generations, the natural Luvos Healing Earth has been used internally and externally without any known side effects. 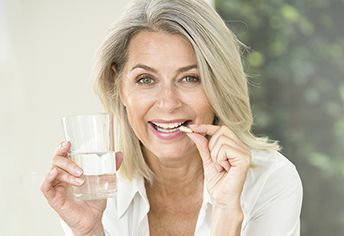 Innovative organic complexes based on Healing Earth combined with plant micro-nutrients naturally provide well-being and beauty from the inside. 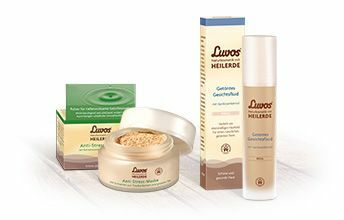 Luvos med corresponds to the dermatological requirements of very dry and irritated skin. The products are suitable for the treatment of atopic dermatitis. The products offer unique benefits for beautiful and healthy skin, based on the established value of Healing Earth in naturopathy. Supportive treatment of irritable stomach with persistent symptoms such as belching, stomach pressure and bloating. Fast and effective relief from acute diarrhoea and irritable bowel syndrome (IBS). The persistent symptoms such as diarrhoea and flatulence are treated naturally. For supportive treatment of acne skin, muscle and joint complaints and inflammation.